While these ongoing changes have brought about many benefits, they have also created conditions to which our bodies are not entirely adapted, Lieberman argues, resulting in the growing incidence of obesity and new but avoidable diseases, such as type 2 diabetes. Lieberman proposes that many of these chronic illnesses persist and in some cases are intensifying because of "dysevolution," a pernicious dynamic whereby only the symptoms rather than the causes of these maladies are treated. And finally - provocatively - he advocates the use of evolutionary information to help nudge, push, and sometimes even compel us to create a more salubrious environment. What did you love best about The Story of the Human Body? I loved they way he made sense of modern diseases and conditions against the background of our evolutionary human experience. He does this with tremendous sensitivity to our attachment to modern cultural traditions, so that one doesn't end up feeling attacked or guilty about the evolutionary mis-matches, just more aware of their existence and how to minimize health problems from this perspective. What was one of the most memorable moments of The Story of the Human Body? His explanation of dentition and its relationship to modern types of food is really interesting. I had no idea that cavities and impacted wisdom teeth were modern problems that are entirely preventable by changing one's eating habits, especially for children. I really liked this book, it was kind of addictive. I learned so many valuable principles for health maintenance, and the author is an extremely intelligent person who has devoted decades of study to these issues. I highly recommend this book. This is a really enjoyable book. 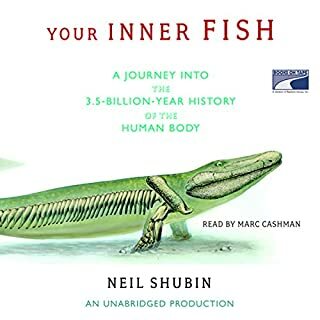 I suppose the points made aren’t all that novel or mind-blowing, but they are made in a really entertaining, comprehensive and satisfying way and it is packed with insights reinforcing the world-view of evolutionary biology that I’ve gleaned from similar audiobooks on related topics. The author is a Harvard professor of biology, and the subject is the human body. He spends the first half of the book describing how the human body evolved since the time of our last common ancestor with the other great apes. Over these six million years or so our bodies have changed due to a sequence of important adaptations, and his explanations of each of these changes and their advantages in the environmental conditions of the time are truly enlightening. Although some of these are well-known to the point of being clichéd, e.g. becoming bipedal, losing our fur, developing better voice-boxes, etc, he describes each of these steps to a level of detail that really boosted my understanding of the subject. An example of this is the bipedal adaptation. In order to become efficient walkers our legs got longer, our hips turned inwards, we developed arches in our feet, and the end result was that we use significantly fewer calories to cover a given distance compared to a chimp. We covered long distances in great heat to find food, losing our fur and developing sweat glands to facilitate this activity in the hot African sun – retaining head hair to protect us from sunburn. I knew that we were good walkers but I hadn’t previously realised that we also evolved as runners. We are very slow runners compared to most of our predators (e.g. lions) and I thought that was just the price we had to pay for becoming bipedal and freeing up our hands for tool-use. But actually, while being rubbish at sprinting, we are excellent, well-evolved long-distance runners. There is evidence that we hunted large mammals using a ‘persistence’ method; We would patiently jog after a large mammal, which would gallop off until it had to rest in the shade. We would catch up with it and it would gallop off again before it had time to fully recover, and this sequence would continue until the beast eventually collapsed with heat-stroke, making it an easy kill. The second part of the book focuses on the concept of evolutionary ‘mismatch’. This is a detailed look at how, when faced with a changing environment, our bodies have initially been poorly matched and have taken time to adapt. There is then a special emphasis on the mismatches that we currently face, with our modern Western lifestyle (the extremely new environment of chairs, beds, computers, pollution, abundant high calorie food, etc, etc). So many modern chronic diseases seem to be associated with us using our bodies in ways they weren’t adapted for. They are too numerous to mention, but examples are heart disease, fallen arches, type 2 diabetes, short-sightedness and lower back pain. These diseases are rare in present day hunter-gatherer societies, and it isn’t because they don’t live long enough to succumb to these ‘old-age’ disorders, the older members of these societies don’t typically get them either. So there’s a really good discussion of how modern ailments have resulted from the mismatch between our bodies and our new environment. Again, this is not a particularly novel idea, but it’s a thorough and stimulating discussion with many suggestions for how we could prevent or reduce these diseases, both on a societal and a personal level. If you’re interested in this kind of stuff, I wholeheartedly recommend this book. I love human evolution books. This one didn't get started for me until well into the 2nd chapter because it is basic knowledge. The rest of the book goes into length and specifics discussing hominid development from a physiological perspective. I am familiar with most of the material from other audiobooks but enjoyed the overview. It is easy to follow and discusses how pre-humans and early humans compare. 4 stars because much of the info is standard fair. 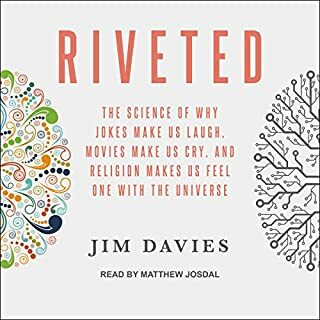 This is a good science book for audio. It may be too familiar for some listeners [nerds] who are familiar with the topic. 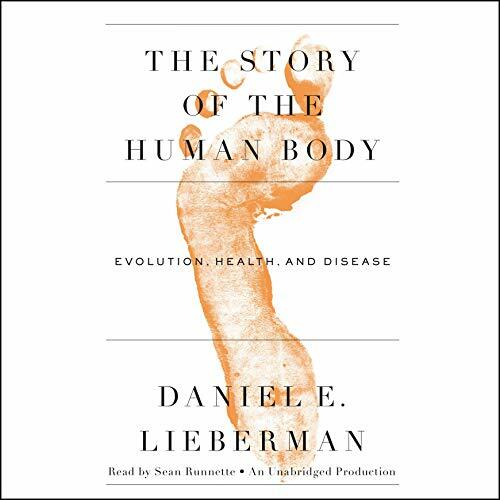 The Story of the Human Body: Evolution, Health, and Disease is an excellent book. The author is head of the Evolutionary Biology Department at Harvard. It appears that many of the negative reviews are by people who don't believe evolution happens. If you strongly hold to that view yourself you probably will be offended by every page of this book. The book starts by telling you more details concerning early humanoids than you may want to know, but if you stick with the book for fifty or sixty pages the relevance of the information to modern humans becomes more apparent. The longer you stick with the book the more you are likely to enjoy it. Ultimately there is much information relevant to how we live today and how we should be living given our likely genetic predispositions. The one issue that I would like to have heard more about is how or if evolution had much impact on diseases of the elderly when our ancestors rarely lived to the ages we commonly live today. Overall --- a very good book. Kind of boggles the mind to think mankind has been around hundreds of thousands of years. First part of the book is an evolution history lesson, second part is an examination of where we currently are and implications for the future. Very readable, Lieberman often points out evolution facts (learned through fossil discoveries) and assumptions. Some surprising facts like most people have 1-3% Neanderthal DNA and most of the world can be traced back to a small community of 14,000 people in Africa. Overall, Lieberman has made what could have been a very dry book, come to life. A diarrhea of words ideas and sentences repeated again and again beyond boredom. It became irritating. Insanely repetitive. Could say the same few concepts in one chapter. This book is profound and moving. The author takes you on a journey of 6 million years pointing out why we have evolved the way we have. His crowning achievement is the realization that many illnesses such as type 2 adult onset diabetes mellitus, heart disease and many orthopedic problems are the result of a mismatch between our modern civilization and the body that is millions of years behind in its evolution.Simply put, the recent changes involving the surfeit of cheap high calorie foods and a sedentary life style has produced metabolic challenges that we are unprepared for. This leads the reader to the inevitable conclusion that avoiding these byproducts of modernity ( high calorie foods and sedentary lifestyle ) holds the key to regaining our health. Bravo Doctor! Well Done. I loved the first half of this book. It's hard to find a good book on human evolution. The author steps you through the evolutionary development of man from 2.3 million years ago to 250 thousand years ago and does this part of the book as good as or better than any other book on the topic. He principally looks at why the homo species decided to walk upright and become bipedal and considers the relative advantages and the disadvantages that this brought. It's hard to find good books on that topic. I never grow tired about learning about Neanderthals, Denisovans and early man. He actually develops a theory that our evolution and development is best thought of in terms of calorie (energy) consumption and usage a pretty good theory at that. At near the midway part of the book, the author says that he used to stop his lectures on human evolution at 40 thousand years ago. I wish he stopped the book at that point, but, unfortunately, he did not. He states that the agricultural and industrial revolution are the worst things that ever happened to us and he seems to mean it. 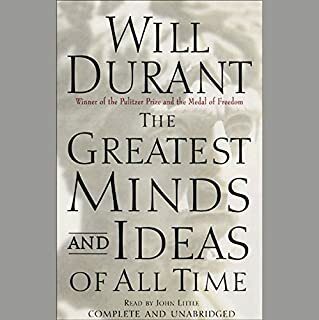 (He quotes Jared Diamond to that effect, but Diamond might say that but doesn't dwell on that in his much better books than this one). The author tells the listener that modern hunter gatherer groups live longer and with less pain when you factor out tobacco and alcohol. All the negative things the author says about our diet and exercise (lack thereof) is true, but we are learning and we are moving ahead and adapting culturally. I'm a rational optimist. Humans are dynamic and we are learning as we progress and we just don't stand still as more data becomes available to us. The author is right, adult onset diabetes (Type II) is a scourge for out bodies, but we are changing are behaviors and we are learning from our past mistakes. What made the experience of listening to The Story of the Human Body the most enjoyable? The knowledge of the presents a fast but inclusive history of human evolution. The pulling together of evolutionary facts and applying summations from a vast knowledge. Being a Harvard Professor the author is very well educated. But in his terms "a price is paid", very liberal. I think this is the first time I rate a book with five stars for both story and performance. So many of the diseases prevalent in modern societies (e.g., Type 2 diabetes) are called "mismatch disease" because they are caused by mismatch of the modern life style such as abundance of food (of unbalanced kind) vs. our evolutionary tendency to store fat and sugar when we can because food was scarce. This book provides a comprehensive view on how we humans developed since our ancestors started walking on two feet. The author has a rare quality of being able to translate his research expertise to its public health implications. 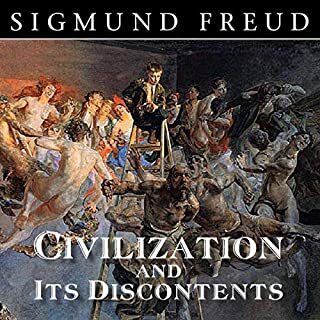 I feel lucky to be alive in this age when books like this can teach us the evolutionary perspective on how we are living now compared to the past and what can be improved. It is also devastating to know that so many of modern diseases are preventable, and yet, important information like this has not seeped into the mainstream culture. This book covers the subject of human evolution from primordial apes in the last 5 million years. Well written, it contains much of interest. But its also very repetitive and painfully slow at times. The reader exacerbates the slow pace by adopting a sleepy if congenial tone. Its as if the reader personally knew everyone who existed and is saddened by their demise. And having been around for so long he could do with a good nap. Excellent book, summing up the latest scientific findings from evolutionary biology regarding Man's 'bodily status', genetic inheritance, etc. Also provides a sound and scientifically grounded anchor to all the recent diet fads, such as 'Wheat Belly' and 'Grain Brain'. Unfortunately, the text is somewhat marred by the 'tired' and 'sad-sounding' reading, giving it an air of unwarranted melancholia. Hard to understand the producer's choice here, given that the book is not written by an 'old' man, nor - as a scientific text - is particularly suited to that kind of tone? Everybody in the world should read this book. Brilliantly written and delivered. I read it for one reason and was enlightened in so many other different ways. Definitely recommend! 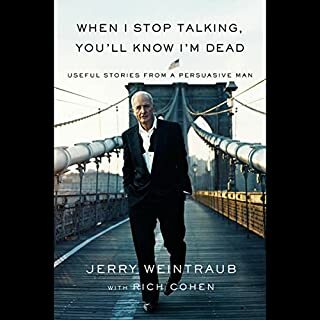 the way Lieberman told the story is unique and different. you should read it or listen it, as I did. Love how it ttansforms evolutionary biology to a simple story. You'll value your body so differently after finishing it. After the Origin of Species! This book is the one! I relate to this book big time because I read the tile of Charles Darwin's " On the Origin of Species!" And can see and understand every chapter on this book. All this book is pointing out is "Missmatch Diseases " and " Disevolution" ! As Mankin saw the trick of life, It's our time now to materialise the saying " Man was born on Earth but will not die on Earth" it sound silly but of all species that evolved on Earth and Extinct on Earth did really die on Earth. As President Emmanuel Macron of France said " There is NO Planet B" Really means that once we destroy our planet, really there's no second Planet to go to. Just a short review but I really enjoyed this and it gave me plenty of food for thought. I like pretty much everything about this book. Very informative and offers a lot of advice to help potentially prevent illnesses and mismatch diseases. Answering questions you have never asked!! Simply put this book makes you think about your everyday life and the modern surroundings we have found ourselves in. Very interesting and full of facts and observations about humans that will keep you entertained. This book answered so many questions I didn't even know I had, and explained a lot I'd always been curious about. Every chapter makes me wants to spend years researching evolutionary biology because it sounds like the most interesting thing in the world. I'm going to listen to it at least half a dozen times, it's definitely worth it. Buy it. Really well researched info! However, personally, I just selected a few insights. I was expecting more! The 1st part of the book is a fascinating account of the evolutionary development of the human body, explaining why modern humans have the bodies we have. 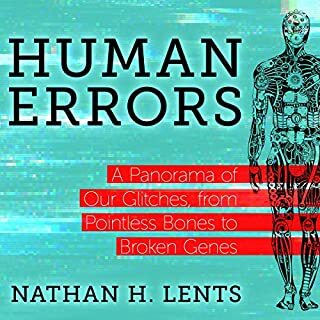 The second part of the book addresses the modern lifestyle ailments humans encounter due to cultural evolution, the changes that the human body is not adapted to handle. The author conclude with some alternative actions by governments that may be applied to address our increasing lifestyle diseases and other ailments. Very well reasoned, food for thought and action! I honestly enjoyed every minute of this book and will be looking for more titles written by the brilliant Daniel Lieberman..